NaBloPoMo – Glass Half Empty? or Half Frozen? Prompt: Do you see the glass as half full or half empty [on the farm]? On the glass half full side, look at all those little yellow suns!!!! Not only is a bit of sun (low slung though it may be these days) a balm for the post-November soul, it also means the heavy traffic hog zones will dry out a bit, as will the mucky area near the gate to the turkey pen where I have my breeding birds. For some reason, this year the water has been pooling right there, which means I risk getting stuck, or the gate getting stuck when I’m trying to maneuver into the pen with buckets of feed and vegetables and water containers while not letting any turkeys out. This dance of the hysterical turkeys (because they do get a bit silly when they see a human coming with buckets attached to her arms) will resolve itself very soon when the field where the Christmas birds are growing out will become available for the breeders. This lovely, large, and securely fenced area will give the few birds I will keep for next year’s procreative roster plenty of room to frolic before we have to get serious about selecting breeding groups, collecting and hatching eggs, etc. Also on the glass half full side of the equation is an upward nudge of the daytime temps to just above freezing (for my friends south of the border, we are looking at Celsius temperatures, not Fahrenheit). The forecast had been putting the daytime highs just below freezing, which would definitely have been more of a glass half empty kind of thing. A half full sort of geographic feature when you are standing on top of the hill surveying the amazing view we enjoy, but a half empty bump in the road when you are slithering down it trying to hold back the cart loaded with VERY HEAVY containers of hot water because the hill is a) steep and b) frosty and you realize as you are about to hit a fence post because the cart has developed a mind of its own and is determined to plow you over and send you arse over tea kettle into the goat pen but there’s no way you are going to let go of the cart because then it would tip over and the cans would fly out, probably shatter in the cold, and then you’d have to make a trip to Canadian Tire to replace them with better, stronger versions so you can return to the laundry room sink, refill, and try again. I don’t think that last bit was in any way grammatically correct, but who thinks of grammar at times like that? Where was I? Oh yes, trying to think if there was a glass half full way of looking at my frozen water situation because, basically, I am very much a glass half full kind of person. Nope. I don’t think there is. Wait! 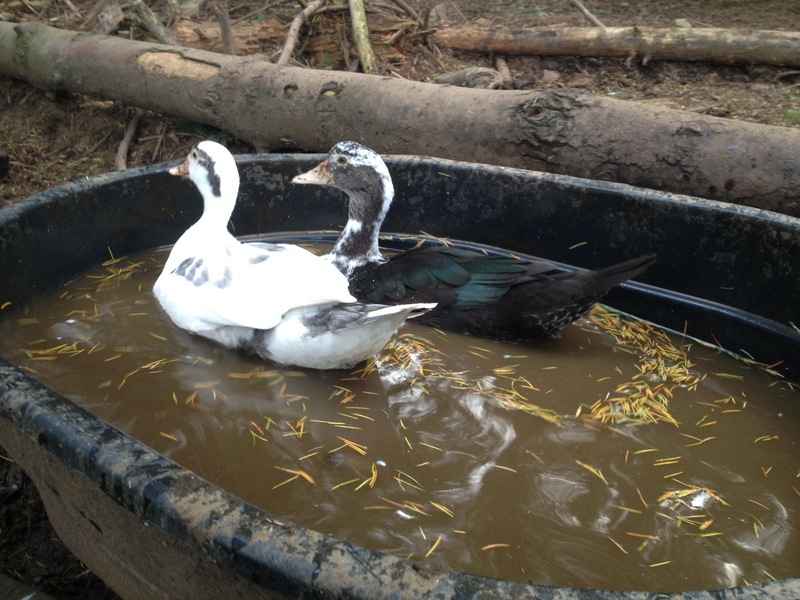 Yes, I did think of something that won’t happen when there is a nice, thick layer of ice on top of the hog water tubs: the ducks won’t be able to get in there and blow their noses and wash their backsides! This may not be a good thing for the ducks, but it is a good thing for the hogs who (after I hack drinking holes for them) will have cleaner water to drink and for me because I won’t have to tip, scrub, and refill the hog water so often. The other thing that won’t happen if the water freezes is I won’t find little bodies in the horse troughs. Every now and then the bantam hens and certain foolish wild birds decide they can drink from the horse troughs (they can’t – they slide in and can’t get out…). Fortunately, this is an infrequent event and those who don’t figure out that they are NOT ducks generally don’t survive to raise future generations of misguided offspring. A protective layer of ice will eliminate this problem entirely. Which is a good thing. 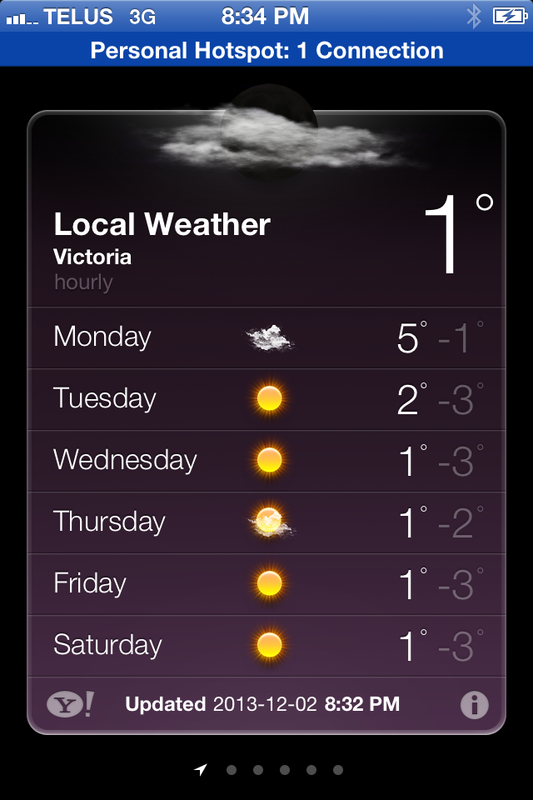 The other good thing about the forecast is that single degree above zero will give me hope each day that the water pipes might start flowing. I will check every half hour starting at 1pm, just in case. This will continue until 4 pm and the sun starts to go down and the temperature dips again. Most likely, the pipes will NOT unfreeze, once they are nicely frozen – but where there is sun and a single plus side degree, there is hope. And where there is hope, the glass is always half full. 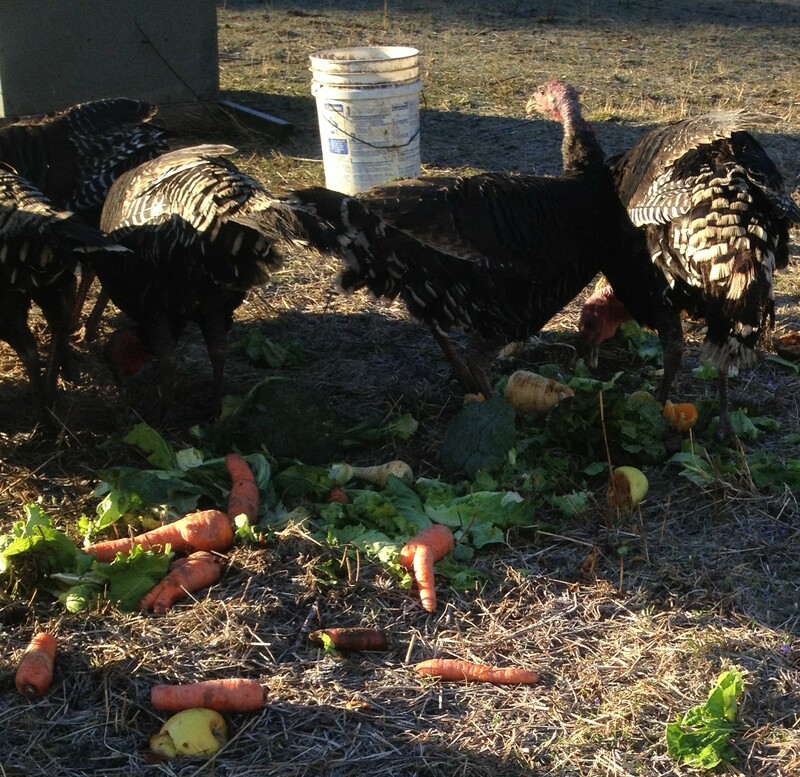 This entry was posted in Blog, Ducks, Pigs, Turkeys, Uncategorized and tagged farm life, frozen water, glass half full, hogs, homestead, ice, NaBloPoMo, turkeys. Bookmark the permalink. Hard work and the trade-off of so much beauty and reward. My life is one of much more good than bad. I’ve worked hard and been very fortunate, a good combination. Love this! I’m inclined to glass half full these days – the sunlight is just so much brighter than the drizzle we’re used to this time of year. I don’t have all the waters to deal with that are such a pain for you, which accounts for how much easier it is for me to say on the up side of the options. Did you see in Small Farm Canada that there is a short article on using a panel of insulating Styrofoam to float on top of your waterer? You’re supposed to cut holes suitable to the nose/beak size of your drinking creature…the picture shows chickens, but I would think they’d just peck the Styrofoam to pieces, because they destroyed the foam pipe insulation that kept the water pipes for their automatic waterer protected. The article suggests not using it with goats, as they’ll try and stand on it! I had got as far as the article on farming with heavy horses and then stalled out due to an overly busy week! Flipping ahead I see the how-to article – it would certainly be worth a try! They are right about the white styrofoam – I used some of that once to close off a mesh window in a turkey brooding hut. For a while the poults ignored it but one morning I went in and they had eaten a scarily large amount of my barrier! How nobody died after that incident, I don’t know… The closed cell stuff, if it’s floating and the birds can’t get a good stab at it might be ok… I’ll test and report back. 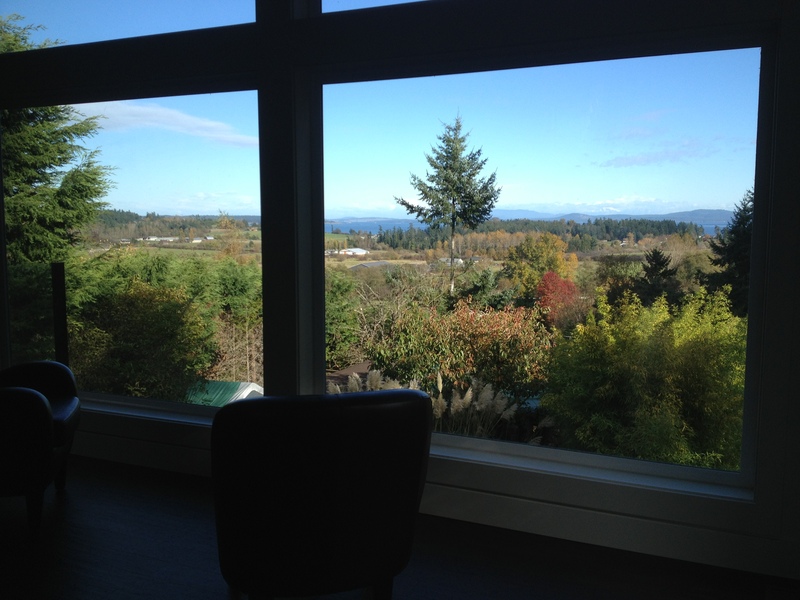 Also, loving the view from the window….I wish we had something similar. Alas we’re surrounded by more houses. Sigh.